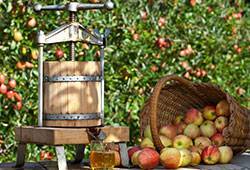 If you love cider, fruit beers, wines or healthy fruit juices then why not have a go at making your own. It’s easy with fruit crushers and fruit presses from MonsterShop. Everyone loves a refreshing drink through the summer months and then, during the colder months, you could add a little spice to those ciders and wines to warm up your cockles. Making a fruit beer as a gift or creating a special wine to make that party go with a bang are great ideas for adding a personal touch to events. You could even be looking for equipment to get your new business venture kick started. Whatever the reason our range of quality fruit crushers and fruit presses will provide you with perfect piece of equipment for your needs. Beware though because once word gets out that you make your own speciality drinks everyone will want to be on your birthday and Christmas list. Our fruit crushers and presses are shipped with FREE UK P&P (mainland only) and if place your order before 2pm you will receive it the next day.